which Glen David frequently appears as himself). But where Shorty might be arguably the better trombonist, Glen David wows as the superior vocalist/entertainer. 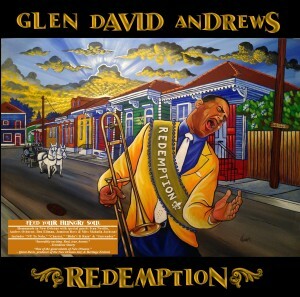 And while Shorty leans toward contemporary jazz these days, Glen David’s Redemption stays closer to his roots – cooking R&B, Gospel, Blues and Jazz, into a rich, dark Creole gumbo of soulful, rocking Funk, delivered with the seaering energy of a New Orleans heat wave. 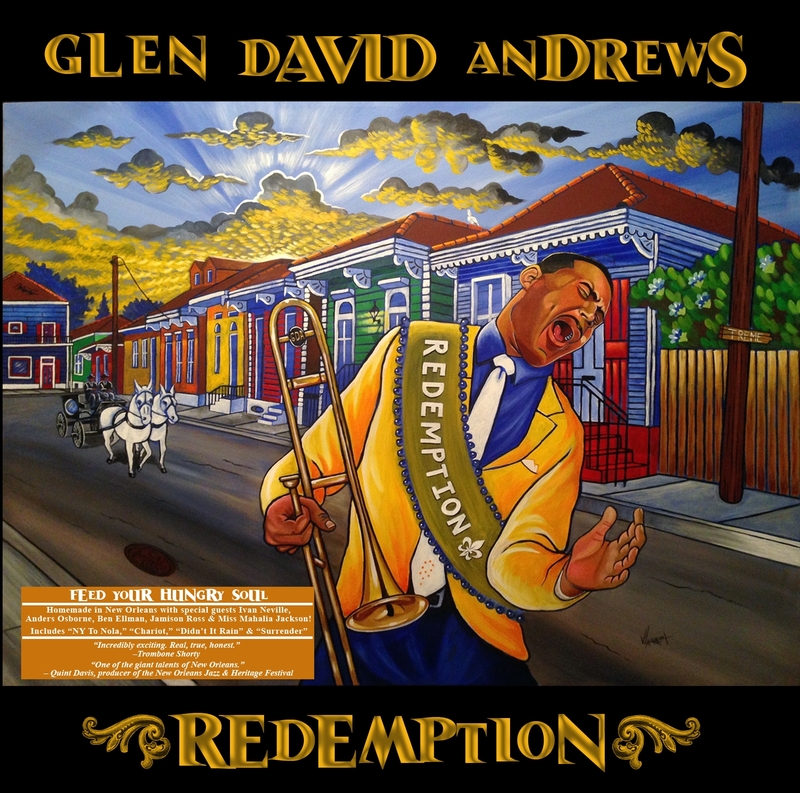 Glen David Andrews is the voice and spirit of New Orleans – the very embodiment of the Crescent City’s recent struggles and glorious return from near ruin – with Redemption as his own personal odyssey to salvation. It is the apex of years of entrancing performances at the New Orleans Jazz Fest, Lincoln Center, Preservation Hall, Tipitina’s, and – most powerfully of all – the streets of New Orleans where it all began.